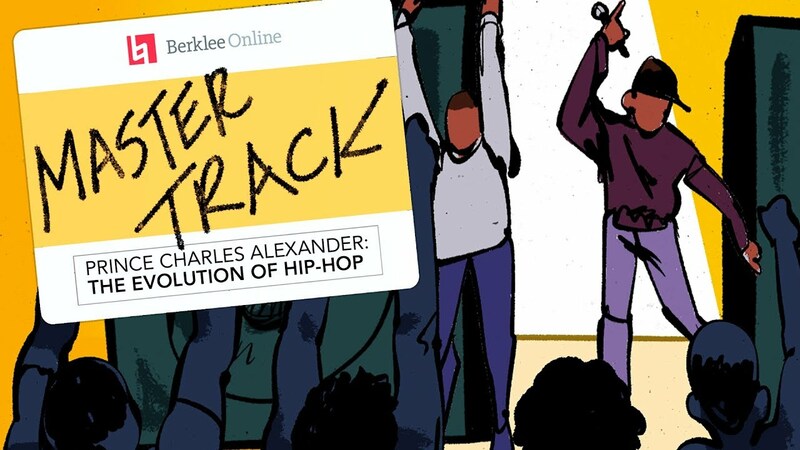 In this animated short, part of Berklee Online’s Master Track series, course author Prince Charles Alexander details his transition from a funk artist opening up for Duran Duran to a music production ace, engineering hit songs for Bad Boy Records. He discusses how he learned to embrace hip-hop through his admiration for the entrepreneurial skills of Sean “Puffy” Combs and for the rhyming skills of Christopher Wallace, AKA Biggie Smalls, AKA the Notorious B.I.G. Prince Charles Alexander is a sought-after music producer and audio engineer whose clients include Mary J. Blige, Destiny’s Child, Faith Evans, P. Diddy, the Notorious B.I.G., Usher, Boyz II Men, Brandy, Babyface, Sting, Aretha Franklin, Brian McKnight, Donnie McClurkin, and others. Alexander has garnered more than 40 Platinum and Gold certifications from the RIAA and has multiple Grammy Awards and nominations. He is the course author and instructor for Commercial Vocal Production, part of Berklee Online’s Master of Music in Music Production program. Alexander also teaches production and engineering for Berklee Online, is co-creator of the Vocal Production undergraduate course for Berklee Online. On the Berklee campus in Boston, he teaches Advanced Production and Mixing at Berklee, and created the Commercial Record Production minor in that department, for which he received the Don Wilkins Excellence in Curriculum Development Award from Berklee’s Professional Writing and Music Technology Division in 2013.